Leonardo da Vinci, art history’s most famous southpaw, was actually ambidextrous, researchers have proven. The Uffizi Gallery in Florence conducted an in-depth study of Leonardo’s earliest known drawing, a 1473 landscape of the local Arno river valley and Montelup castle, and their findings once and for all put to rest questions about the Renaissance master’s handedness. The man really could do it all. How did they make this discovery? Researchers noted that the drawing features text that slants from right to left as well as left to right, indicating that the artist wrote perfectly with both hands. On the front, the date is written from right to left, while script on the back about a contract reads from left to right. Experts agree that both the right-handed and left-handed calligraphy are by the artist. Although some had speculated that Leonardo was ambidextrous previously, this evidence is the most compelling yet. “It is a real revolution in the field of Leonardo studies,” Uffizi director Eike Schmidt told Reuters. The study also uncovered a previously unknown landscape sketch on the back of the original work, titled Landscape Drawing for Santa Maria Della Nave and alternatively known as Landscape 8P. Dated August 5, 1473, the work was completed when the artist was just 21 years old. On the front of the drawing, infrared light analysis found traces of an underlying sketch. On the back, there was once another landscape, featuring a bridge crossing a river, done in charcoal. It may have been erased by the artist, or it also could have faded away over the centuries. 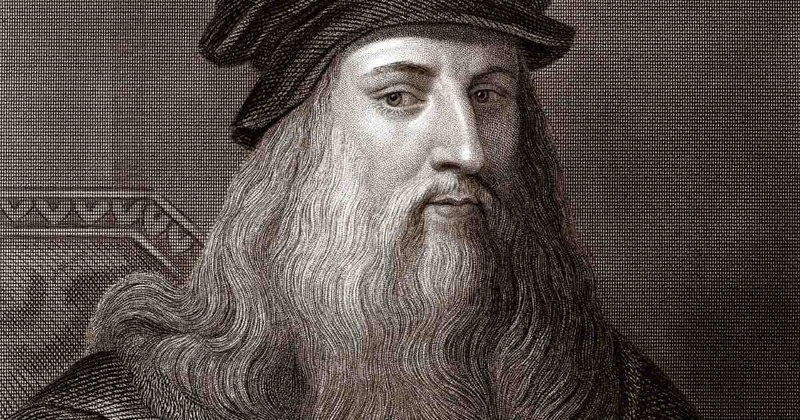 The discoveries are being announced as the world celebrates the 500th anniversary of Leonardo’s death, on May 2, 1519. As part of the festivities, which include exhibitions across Europe and beyond, Landscape 8P will go on loan to the Museo Leonardiano in Leonardo’s hometown of Vinci in Tuscany, Italy, for five weeks beginning in August.